Physiological capacities are limited after maturation. Technique is the largest contributor of success, especially after maturation. Burnout is higher in women, potentially due to earlier development and longer period of plateauing. 4% improvement during these years (Sweetenham 2013). Although the technique is the main determinant of success, even in age-group swimmers, many swimmers improve with any program or technique during maturation (Watanabe 2005). Improvement with various programming often confuses many into believing into non-ideal training pedagogy, as increases in size mask skill improvement and acquisition. Improving physiological capacities is limited after ~8 weeks of training, but individuality does exist (Costill 1991; Kamel 2002; Savage 1981). Once conditioning and growth cease, the potential to improve through conditioning is limited (Novitsky 1998). 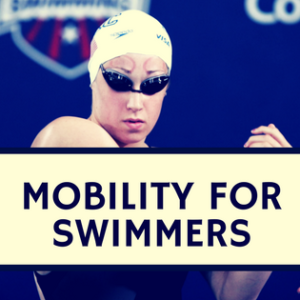 These limited capacities prevent many swimmers from improving after maturation, as is commonly see in many Senior and collegiate programs. As mentioned, technique is the main determinant of swimming success in age-group swimmers. After growth, technique is also the main determinant of success (Cappaert 1996; D’Acquisto 2004). Improvements in these skills also result in greater and quicker performance improvements than other forms of training (Havriluk 2010). After maturation, one must remember skill improvement is still possible. 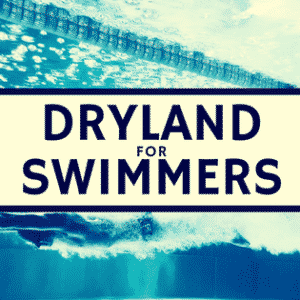 Unfortunately, many people continue to attempt to improve physiological capacities, through arduous training volumes and intensities when biomechanics and swimming skill provide the greatest return on investment! Women are commonly associated with burnout more than men, likely due to longer periods of not improving and a greater recovery capacity, resulting in many women putting even more emphasis on physiological capacities. Unfortunately, this strategy has a poor return on investment, often minimizing performance gains and increasing the risk of injury (Hibberd 2013). Technique plays an even more important role in success in women and when this area is not emphasized performance gains are limited (Cappaert 1996). Overall, skill improvement is possible for all coaches, but proper motor learning principles are necessary for improvement. These skills have been discussed here (see below), by Dr. Rushall, and Ludo, specifically for swimming. 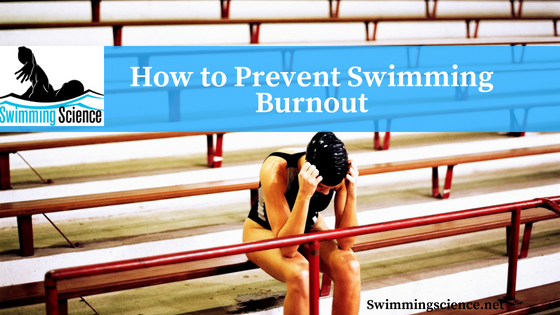 Knowing these principles, as well as ideal biomechanics will help improve swimming skill and likely minimize burnout from injury or disinterest in the sport, as continual improvement is the best prevention for burnout! Does Variability Enhance Motor Learning? Costill DL, Thomas R, Robergs RA, Pascoe D, Lambert C, Barr S, Fink WJ. Adaptations to swimming training: influence of training volume. Med Sci Sports Exerc. 1991 Mar;23(3):371-7. Novitsky, SA. No change in energy systems power rate production constants over a competitive swimming season. Medicine and Science in Sports and Exercise. 1998; 30(5), Supplement abstract 613. Cappaert, JM., Kolmogorov S., Walker, J., Skinner, J., Rodriguez, F., & Gordon, BJ. Active drag measurements in elite US swimmers. Medicine and Science in Exercise and Sports. 1996: 28(5), Supplement abstract 279. Troup, A. P. Hollander, D. Strasse, S. W. Trappe, J. M. Cappaer TA. Trappe (Eds. ), Biomechanics and Medicine in Swimming VII (pp. 76-80). London: E & FN Spon. D’Acquisto LJ, Berry, J. Energetic and technique characteristics of trained collegiate male swimmers. Sixth IOC World Congress on Sport Sciences, abstract. 2002; p. 23. Watanabe, M., & Takai, S. Analysis of factors on development of performance in young swimmers. Medicine and Science in Sports and Exercise. 2005;37(5), Supplement abstract 416. Havriluk, R. Performance level differences in swimming: Relative contributions of strength and technique. In P-L. Kjendlie, R. K. Stallman, J. Cabri (Eds.) Biomechanics and Medicine in Swimming XI. Norwegian School of Sport Science, Oslo. 2010. Kamel, KS., McLean, SP, Sharp RL. 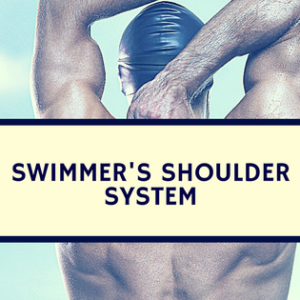 Biomechanical and physiological adaptation to twelve weeks of competitive swimming training. Sixth IOC World Congress on Sport Sciences, abstract, p. 74. Savage MV, Brown SL, Savage P, Bannister EW. Physiological and performance correlates of training in swimmers. Paper presented at the Annual Meeting of the Canadian Association of Sport Sciences, Halifax. 1991; Oct.
Sweetenham B. ASCA Swimming Newsletter. 2013.